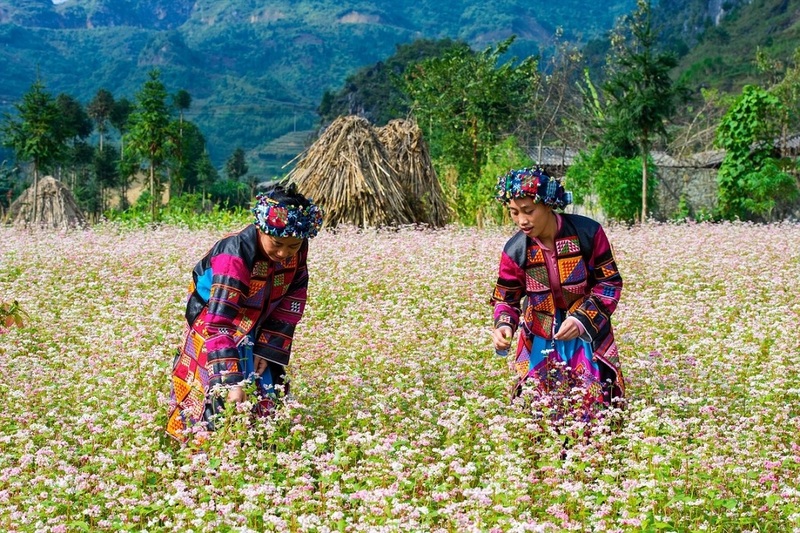 H’Mong ethnic residents grow two crops of Tam giac mach (buckwheat), which is in bloom between April and May and between October and November a year. 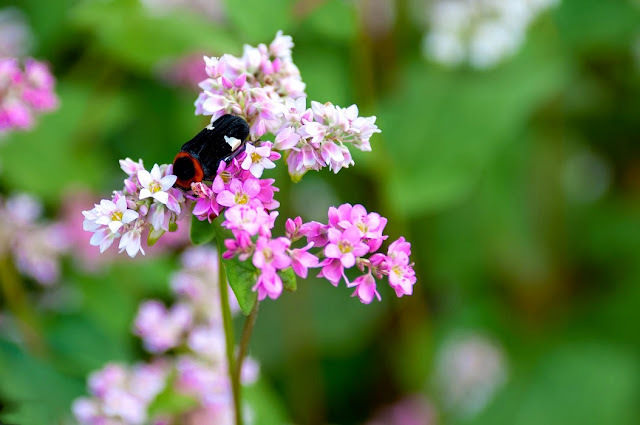 The flowers are sensitive to sunlight, turning from white in the early morning to pink in the afternoon. 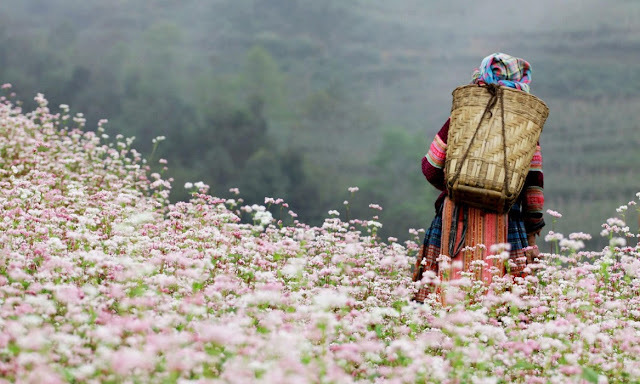 Buckwheat creates striking sights when blossoming, making it a tourist draw in Ha Giang, as well as neighbouring mountainous areas such as Lao Cai province. So, To promote the beauty of Ha Giang land and attract tourists to come here. This year, Aug 18, 2017 The Buckwheat flower festival 2017 will take place in four districts, including Dong Van, Quan Ba, Yen Minh and Meo Vac, and Ha Giang city, in the northern mountainous province of Ha Giang, from October 4th to December 31st. The event will be held to honour the unique cultural values of Dong Van Karst Plateau, contribute to attracting visitors and developing the buckwheat flower into a tourism brand of the karst plateau and also Ha Giang province. There will be diverse activities such as the international geological park fair, a fair on local agricultural products, a seminar on technological application and management solutions to improve bee’s honey, a concert, a gastronomy programme, performances and cultural exchanges, as well as traditional folk games of ethnic minority groups. The opening ceremony is scheduled to take place at 20h00 on October 27th and will be broadcast live on Viet Nam Television. If you are waiting for the best opportunity to join a great holiday in Vietnam. This is a great opportunity for you ! Some photos of Sapa during harvest season !